Expert adviser to businesses in financial difficulty. Andrew is a Chartered Accountant and a Licensed Insolvency Practitioner practising in all aspects of business rescue and corporate and personal insolvency and is a founding Director at McTear Williams & Wood. Advises directors, shareholders and individuals on all aspects of business rescue and insolvency. Acts as an Insolvency Practitioner in all forms of corporate insolvency including administrations, pre-packs, liquidations and company voluntary arrangements. Acts as an Insolvency Practitioner in individual voluntary arrangements and bankruptcies. Leads complex investigation and forensic recovery engagements. Qualified as a chartered accountant in 1984. Qualfied as a Licensed Insolvency Practitioner in 1988. Worked for KPMG for 20 years the last four as a Corporate Recovery partner in East Anglia and London. 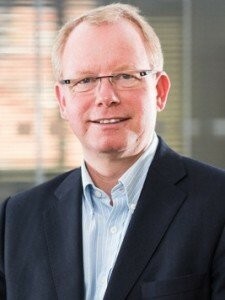 Co-founded McTear Williams & Wood in 2000 as a regional business rescue and insolvency firm. Co-authored 'Your need this book first' series - Management bankruptcy and liquidation and 'The Pocket Lawyer' series - Corporate Insolvency - Personal Insolvency.